Very cool photo of Mark Twain and Nikola Tesla from the Wikimedia Commons. Mark Twain (penname of Samuel Langhorne Clemens) in the lab of Nikola Tesla, spring of 1894. Taken in the spring of 1894, and originally published as part of an article by T.C. Martin called "Tesla's Oscillator and Other Inventions" that appeared in the Century Magazine (April 1895). Who decides which CMS to purchase? Who decides how to support online delivery? Who decides (and enforces) quality standards? Are the standards only academic? These questions and many others can bring strong opinions to the higher education table. In this keynote session, Darcy W. Hardy, Assistant Vice Chancellor and Executive Director at the University of Texas System, addresses these and other uncertainties. This session was recorded at the EDUCAUSE 2010 Southwest Regional Conference. This is a great idea. I don't think you need to have someone remove your slides, but instead plan for a hybrid presentation. Purposefully omit a slide here and there and step away from the screen to either a whiteboard or flip-chart to fill in the gaps. It's one thing to follow something already on a PowerPoint slide. It's another to recall it completely from memory under pressure and technical malfunction. This got me thinking. A spectacular way to practice a PowerPoint presentation would be to have someone eliminate one of your slides, or a section of a slide. Then, run through that altered presentation and see if you can compensate for the missing material. This will make you feel more confident about your presentation, and help you avoid being flustered if everything doesn't run smoothly. You know you can never trust a PowerPoint. Blockbuster is losing big when it comes to at-home videos, so they are cutting back on expenses and on advertising in the U.S. to make up for it. US same-store sales fell 15.9% in the 4Q and revenue dipped 18% to $1.08 billion compared to last year. By closing its 500 weakest stores, the video-rental company hopes to reduce expenses by $200 million, the Financial Times reports. They also want experience teaching online and using online instructional technologies. I found back a few years ago that UoP and also some of the large online programs from traditional colleges were far tougher in their standards for who can teach online than "non-profit" schools. I was impressed by their screening process. I made the cut, but chose not to teach for them. I too was rejected, despite having my masters, 10 years teaching experience as an adjunct, 20 years in the professions that many of the students come from. I was sure my years of experience in the "real" world would be something they wanted. I too got "were not interested in someone with those qualifications and credentials at this time." I was baffled because the other candidates for the job had no teaching experience and worked in the same fields as I had (and yes, one of them did get the job). I was also rejected. My rejection note said they "were not interested in someone with those qualifications and credentials at this time." I wouldn't classify myself as an academic, but I have numerous clinical certifications, a license and a masters. I've been a consultant and a lecturer since 1984. I've been published. I am on faculty at Rutgers School of SW and Alcohol and Drug Studies. A friend suggested that I apply to teach at UoP, as she has been faculty there for years. Her qualifications to instruct: a BA in Art that she got on line from UoP. She is teaching English. Your comment about being accustomed to, or wanting autonomy gave me a chuckle because it made me realize that rather than be insulted (just a bit, if I'm honest) at being rejected by UoP, I should be honored. Guess you and I are simply too good for them! While Paradelle (who made the cut) points out that UoP wants people with "experience teaching online and using online instructional technologies," that still doesn't explain the rejection of faculty such as Mark Viquesney above and Joshua Kim (author of the original story) - both experienced teaching online. With the iPad’s release just around the corner and Amazon’s Kindle making it big in the market, ebook readers are set to make a big splash to the mass market. Still, with all these devices coming in, the software element of finding and purchasing e-books has to be addressed. New alternatives to Amazon and the upcoming Apple book store will have to come up. One of the cool online alternatives is Onread. 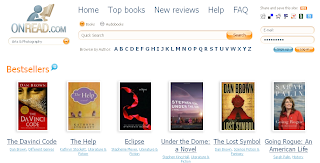 Onread is an e-book download store where you can read whole books for free online. For 99 cents (USD), Onread lets you download a book directly in various formats: .rtf, .txt, .pdf, .epub, .PalmDOC, .FB2, .lrf, and in some cases, as .mp3 audiobooks. Physically, Ferrari resides in the Manor Park section of Northwest Washington, but his wife would say he really lives in a digital world, where smartphones are more stimulating to some people than the life unfolding around them. You see these tethered souls everywhere: The father joining in an intense Twitter debate at his daughter's dance recital. The woman cracking wise on Facebook while strolling through the mall. The guy on a date reviewing his fish tacos on Yelp. Not to mention drivers staring down instead of through their windshields. Physically, they are present. Mentally, they are elsewhere, existing as bits of data pinging between cellphone towers. Kindle Not Ready for Higher Ed? The consensus seems to be that while it's a promising technology - in particular the ability to carry all your course texts on one device and the reduced printing/photocopying - it's still got some flaws that limit its usefulness in higher ed. Interesting that a color display wasn't among the top 5 suggestions for improvement. ‘e-Readers must be significantly improved to have the same value in a teaching environment as traditional paper texts,’ a university press release said. The top five suggestions that students had for improving the Kindle to make it more applicable for course work were (1) improving the ability to highlight and annotate PDF files; (2) improving the annotation tools; (3) providing a folder structure to keep similar readings together; (4) improving the highlighting function; and (5) improving the navigation within and between documents on the reader—including having more than one document open at the same time for purposes of comparison. This looks pretty cool - too bad it's Windows only. I never liked yearbooks anyway. Maybe sooner than you think! See that little chip? It’s called a TI WiLink 7.0 and it’s going to end up in your mobile phone soon, to supply GPS, WiFi, Bluetooth and an FM transmitter functionality to your handset. It’s the first single chip offering this huge amount of connectivity, but it’s definitely not going to be the last. Question. How long till a chip that size contains everything you need to make a top spec smartphone? And what will that mean for our mobile phone size and feature set? Astonishing stuff. Really. Wow! While Android's market share is still relatively small (3.9%), they've made great strides in the past year - a whopping 680% increase. iPhone growth is pretty impressive too - going from half of RIM's market share in 2008 (8.2% versus 16.6%) to over 70% in 2009 (only trailing by 5.5%). If each continued their growth rates, the iPhone would surpass RIM/Blackberry next year. That said, I doubt that Apple could sustain that 75% growth rate. Let's consider a more likely scenario. If RIM continues to grow at 20% annually, the iPhone could catch up in two years with 40% growth - still high, but more reasonable than 75%. Gartner today reported its worldwide smartphone share findings and it’s more of the same for those watching the numbers. For months we’ve seen smartphone stalwart platforms like Symbian and Windows Mobile lose out to the relative upstarts. Research In Motion’s BlackBerry, Apple’s iPhone and Google’s Android operating systems all gained ground. Palm’s rejuvenation with webOS also grabbed a little piece of the pie, which should continue as Palm partners with new carriers. There are two aspects difficult to see from the above graph I built from Gartner’s numbers. It can be confusing to see a higher red value because it looks like a platform has grown. In fact, this case shows the decline of a platform as red indicates 2008 market share, while blue is for 2009 share. The other item is the percentage growth or decline for each platform. Here are the actual market share numbers from Gartner, along with the percentage change over the prior year. These numbers clearly show who’s growing, and by how much, as compared to those whose shares are eroding. How Can Higher Ed Compete with the For-Profits? Here's one idea - pool our resources and work together. It's great to see AACC leading this! Individual community colleges can’t match the marketing budgets of for-profit institutions that plaster their regions with advertisements. So they’re exploring ways to fight back by going national, pooling their efforts to promote online programs in a new marketing collaboration that was announced Sunday at a distance-education conference here. The discussions, led by the American Association of Community Colleges, represent a fresh spin on an older strength-in-numbers distance-learning vision called the International Community College, which failed to get off the ground after four years of planning. The distance-education landscape has changed drastically since that telecourse project. Both for-profits and an increasingly aggressive group of traditional four-year colleges now often recruit by purchasing “leads” on potential students that are parcelled out by online portals – a game community colleges have generally not joined. Course Concierge - What if Every College Had a Genius Bar? Paul Neill's title is director of the core curriculum at the University of Nevada at Reno, but students there know him as the "course concierge." He's the one they contact when they can't get into a class they need. A few years ago, officials at the university decided that they had to do more to reduce the hassles of registering for courses. They imagined a kind of registration czar, someone who could communicate well with faculty members but who had the authority of an administrator. Mr. Neill, a faculty member who works in the provost's office, fit the bill. Another great video from CommonCraft - Secure Websites in Plain English. While the folks at CommonCraft do some great work and I agree that they should be able to profit from their work, I'm disappointed to see that they're going with a pay only model. While you can link to and watch the videos on their website, if you want to embed in your own website, pricing starts at $74 mer month. Individuals can download and use a high-resolution version for $20 and organizations can purchase site licenses ranging in price from $350 to $1050 - depending on the size of the organization. In an earlier post, we found interesting slides for our lectures. 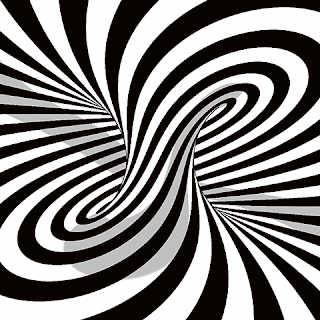 Now let's take a look at how we might create our own eye-catching slides. For this exercise, we'd like to create slides for the 10 Questions to Ponder we posted last week. We'll focus this week on photo hosting/sharing site Flickr. This story is about a month old, but I think we're going to see an explosion of Wii-like motion capture devices for the classroom. The result will be cheaper alternatives to existing Interactive Whiteboards. Epson, the number-one selling projector brand worldwide1, today introduced the BrightLink 450Wi, an intelligent, interactive projector that allows educators to turn any standard whiteboard or smooth wall into an interactive learning area. This innovative classroom tool delivers a cost-effective solution for educators to easily integrate interactive capabilities and eliminates the need to purchase and install dedicated interactive whiteboards (IWB). I've always been troubled by bags from college bookstores that include promotional materials for credit cards. A students drops $500 on books for their classes and as they unpack the bag to start their semester, they're enticed with these offers for credit cards. Doesn't seem fair. This new law is a good first step. A new era in the vexed relationships between colleges, credit cards and students begins Monday, when most of the new provisions of the Credit CARD Act of 2009 take effect. The law provides new protections to students and imposes new requirements on colleges and alumni groups that offer credit cards. Seems like an easy fix, but it's not. Good science education at the earliest grades is supremely important, but in most classrooms it gets short shrift. Studies have found that children in kindergarten are already forming negative views about science that could cast a shadow across their entire educational careers. When researchers interviewed kindergartners from typical classrooms, barely a third of the children showed any knowledge of science, whether from school or other sources. Many children said that science was for older kids and adults, not kindergartners like them. They talked of science being about magic potions or dangerous chemicals; they said science is hard, science is not interesting, and ‘I am not good at science.’ Ask a room of five-year-olds to draw a scientist, and you will likely get lots of pictures of white-coated men in laboratories. Furthermore, even before first grade, fewer girls than boys say they like science. Educational psychology researchers at Purdue University have developed an approach for teaching science in kindergarten that integrates it with language. The combination not only makes science instruction more appealing to teachers who are very mindful of language arts core curriculum requirements. It also enhances language learning by providing situations in which written language is used for a genuine purpose—recording and reporting predictions and observations—instead of a task devoid of any real context. And the kindergartners delight in learning words they would usually never encounter in kindergarten lessons, such as “excrete” (even if they cannot always spell them correctly). The Purdue approach, the Scientific Literacy Project (www.purduescientificliteracyproject.org), introduces children to the most fundamental idea—that science is about carefully conducted inquiry to learn about the world—and shows them that everyone can do science. The lessons do not depend on expensive equipment or the latest in animations and computer games. Low-tech methods suffice, including experiments as simple as seeing if salt will dissolve, reading well-chosen nonfiction books—which many adults mistakenly imagine to be inappropriate or uninteresting to such young children—and maintaining individual science journals. The researchers found that students participating in their project showed significant gains relative to those taking traditional classes. The kindergartners readily developed skills related to asking questions, conducting observations and experiments, drawing conclusions and sharing their findings—and had tremendous fun along the way. The project showed its worth for children of diverse ethnic and social backgrounds, and, most interestingly, it eliminated the gender gap in attitudes. A group at the University of Illinois at Chicago developed a similar project—Integrated Science-Literacy Enactments (www.uic.edu/educ/ISLE/)—for grades 1 through 3. Children are natural scientists: not only are they inquisitive and energetic, but they have an instinct for controlled experimentation. The goal of science education at the earliest levels should be to encourage and refine children’s innate love of exploring the world around them and to help that enthusiastic behavior grow into true scientific literacy. I'm not sure why, but I find this story extremely interesting - I always wonder whether real geniuses are always troubled or in some way a little "off." Kelley’s biography is an exhaustive trek through the itinerary of Monk’s life as a performing musician. At times Monk gets lost in the blur of dates, place names, and changes in personnel. But Kelley offers genuine revelations — about Monk’s family life, his familiarity with the classical piano repertoire, his interest in getting a hit (‘Ruby, My Dear’ was one such effort), and the craven practices of the record business. As a Mechanical Engineer, this is the coolest thing I've seen in awhile. Now imagine this story in Wired magazine on the iPad - video of the bike along with an interactive feature where you could interact with the gears and actually see how everything fits together and works. A team of students at Yale decided to build a spokeless bike for their mechanical design class. One semester later, they had the machine you see here. The students concentrated on the rear wheel, for reasons of both time and money. The back wheel is where all the work goes on anyway, so if it worked, then the front wheel would be easy. The back wheel is machined in standard 26-inch size so a stock tire would fit, and inside it you see a belt drive, usually used to replace a chain. What are the ‘big’ conversations that schools should be having in relation to the ‘tectonic’ shifts that are occurring with social learning online? From the session, Richardson was able to compile a fairly long list, from which he generated a Google Form and encouraged his blog readers to vote on the top ten. We've listed the top ten below, along with three questions that just missed the top ten. These are all great questions! Wouldn't it be wonderful to spend entire faculty days discussing some of these questions with your colleagues? Click to read the rest of Questions to Ponder. We’ve all heard about university-driven open-education projects like MIT OpenCourseWare. These days, though, the push to freely publish course materials and research papers online is increasingly coming from students. How do we stop it? Can we? How would spectrum analysis help detect these messages? What is network steganography and how does it work? What are the three methods or flavors of network steganography that researchers have developed? Can you describe each? To access show notes and audio of our 24 minute and 5 second podcast titled Vice over IP: Embedding Secret Messages in Online Conversations, click here. ... and start from scratch? This chart pretty much says it. In the end, isn't that what we're all hoping to do? Extend learning beyond the classroom! As an aside, I've had a junior faculty member ask "In a class of 25 students, why are 15 of them constantly text messaging while I lecture?" Should I tell him, or is ignorance is bliss? Students endure hundreds of hours on yellow buses each year getting to and from school in this desert exurb of Tucson, and stir-crazy teenagers break the monotony by teasing, texting, flirting, shouting, climbing (over seats) and sometimes punching (seats or seatmates). But on this chilly morning, as bus No. 92 rolls down a mountain highway just before dawn, high school students are quiet, typing on laptops. This looks pretty cool - even the ads are dynamic. It's about time. One of the advantages the iPhone has over other smartphones is the webkit-based browser. As others get closer, hopefully Apple will be forced to innovate and keep the whole industry moving forward. How? Allowing other browsers, such as Opera's Mini browser onto the iPhone. Research In Motion Ltd., maker of the BlackBerry phone, unveiled an overhauled Internet browser for its devices today to attract more non-business customers. ‘Today we are announcing an exciting new offering that further expands the market opportunity for the BlackBerry platform,’ said Mike Lazaridis, co-chief executive officer and inventor of the BlackBerry. Lazaridis showed the new WebKit browser at the Mobile World Congress in Barcelona, Spain. I've been reading a great blog lately called The Russians Used a Pencil. It's a blog maintained by Dan Provost and focused on simplicity. The title comes from the fact that although the US had vastly superior technology - computers, calculators, etc - the Russians beat us into space using only a pencil. I noticed this in my graduate research as well. Much of the foundational work I studied included some really elegant closed-form analytic solutions from Russian scientists and engineers. This work from the 50s, 60s and 70s was in contrast to American counterparts, who saw a difficult - seemingly intractable - problem and almost immediately pursued a numerical solution using the state-of-the-art computers of the time. Here's a great post from Dan's blog describing the simplicity of Google Chrome OS, as a browser-based operating system and it's potential for success. I've got the Chrome OS installed and running as a VMWare image (you can get the VMWare image and instructions here and on a thumb drive here). It's hard to judge the performance of the Chrome OS running on top of another OS in a virtualized environment, but I can see some of the potential benefits, including the almost immediate boot time and the simplicity of the OS. Like Wave, Chrome OS is still buggy and clearly not ready for primetime, but I'm beginning to view Google's long-term strategy as the tortoise to everyone else's hare. While the world may not be ready for a fully cloud-based OS today, things may will be radically different in two, three or five years. The key take-away here is that Google is betting on simplicity. They are valuing speed (the start up time was heavily reinforced in the demos) and simplicity over the functionality you might find on a more standard OS. In Maedonian™ terms, they are adhering to the first (thoughtful reduction) and third (savings in time feel like simplicity) laws. There is one group where I think these machines have a huge potential for success: college students. The machines are inexpensive, perfect for notetaking, listening to music, facebooking, etc., and the computer lab can be utilized for more of the heavy lifting. And at this point I would be surprised if most campuses aren’t completely WiFi enabled. Great list of apps from Jonathan Wylie - and you can't beat the price! This useful app contains over 330 formulas, definitions, laws and properties and would be a great quick reference guide for secondary level Math classes. Algebra, Geometry, Calculus and Trigonometry are all covered by iFormulas. It won't tell you the answers, but it will provide you with the formulas you need to calculate the answer. It is like having a Math book in your pocket, so easily earns a spot as one of the top10 iPod Touch apps for Math classrooms. Michael Leddy has some interesting thoughts on the target market for the iPad. He thinks it's intended for college students. While I think that market - and textbooks - are a significant part of Apple's strategy, I think the iPad (Apple and Steve Jobs) have bigger ambitions. This is Steve Jobs we're talking about here - he doesn't think small! The simplicity of the interface is targeting casual computer users and those that have been scared off by the complexity of most computers. At the same time, users like myself and Gordon Snyder - who enjoy digging into the minutiae of an operating system - are intrigued by the possibilities of the iPad. I think you're going to see iPad adoption from a much broader audience than just students. the iPad is meant for college students. Today, Sciencefeed is launching as a realtime micro blogging platform designed specifically for scientists. Sciencefeed allows users to post short microblogs (not restricted to 140 characters) on scientific headlines, new findings, controversy, conferences and ideas related to science. You can follow users; respond to other member’s entries, and comment on various topics in realtime. You can search for topics and keywords fairly easily and publish updates to Twitter and Facebook. Since conferences are an integral part of scientific research, Scienfeed allows users to create groups around events and even aggregate updates from participants based on a hashtag, similar to Twitter. Publications can be attached to a feed, allowing users to automatically search through 10 different literature databases (such as PubMed) and RSS feeds. Also worth a look is ResearchGATE - LinkedIn for Scientists. Is Site-Licensing the Solution for Over-Priced Textbooks? I've become very sensitive to the rising cost of textbooks. Students have expressed frustration at shelling out a minimum of $100 for their textbooks, with some courses requiring well over $200 worth of books. While the Kindle and the Apple iPad may provide alternatives to traditional paper textbooks, many students can't afford the $500 cost of these devices, and there's no guarantee that books for their specific classes will be available for either device. Here's an innovative approach to solving this problem NC State University. I have no doubt that my students would love this option. Physics students at North Carolina State University can get their introductory-level textbooks for free thanks to a new program by the college. Each year about 1,300 students at North Carolina State take Physics 211 and Physics 212. Beginning this semester, the university's libraries and physics department have offered the courses' textbook online for free. Students can also print pages of the text or buy a printed copy at the university's bookstore for about $45. North Carolina State University Libraries paid about $1,500 to purchase the site license for the textbook, published by Physics Curriculum & Instruction. How Many Oranges Does it Take to Charge an iPhone? This month a midsize state university will start building a 3.5-megawatt solar array, one of the largest solar-power projects among college campuses in the country. Here's the unexpected part: The university is not in Arizona, California, or Nevada—places that get ample (even oppressive) sunlight. Really interesting take on the iPad. Programmer Bill Atkinson, one of the lead authors of the original Mac system, says the iPad will be a big success — and that you have to play with it to understand the magic of the multitouch interface. ‘This guy is going to be a real winner,’ he said, holding up a model he’d made for himself to visualize how his PhotoCard app would look on the device. Atkinson took part in Guy Kawasaki’s Friday morning keynote presentation. Atkinson said he’d played with an iPad for a couple of hours. It’s not a laptop and its not an iPhone, he said, but an entirely new, third device. The magic is in using your fingers to directly manipulate elements onscreen. One of the biggest criticisms of Apple's iPad is the lack of Flash in the mobile Safari browser. This complaint, which has been around since the 1st generation iPhone, hasn't stopped Apple from selling 70 million iPhone/iPod Touch devices. Recently, Adobe used the fact that it received 7 million requests - in December - to download Flash from iPhone OS devices. While this may seem like a large number, it only accounts for 10% of the devices visiting a site with Flash and trying to download the appropriate plugin. I'm not sure that 7 million number is as significant as Adobe thinks it is. When objecting to the lack of Flash, most blogs and pundits point to the inability to watch content from Hulu. Hulu has in fact become the rallying cry for iPad-bashers. I agree Hulu is a great site for watching high-quality content from network television and would be a killer app for the iPad. As the story below points out, getting content from Hulu onto the iPad may not be as technically challenging as it may seem. By the time the iPad ships, I suspect that Hulu will have either modified their site to iPad-friendly or will launch a dedicated iPhone/iPad app. Putting Hulu on the iPad boils down to a business decision, not a technical one. Getting Hulu to work on the iPad would not take as much work as some might expect. The biggest challenge to getting a large video library to play on the iPad (or iPhone) is to convert the underlying video files to the H.264 standard. Fortunately for Hulu, its videos are already encoded in H.264 and have been since the summer of 2008. So it doesn’t have to go back and re-encode all of its videos. But on the front-end, it would have to create a non-Flash player (Flash plays videos encoded in H.264 as does the Quicktime player on the iPad and iPhone). Interesting chart. I'm surprised how little of Microsoft's profit comes from their server business. I'm assuming the "Entertainment and Devices" division includes the XBox 360 gaming console and the Zune mp3 player. Seems like they should be making more money with the popularity of the XBox. I think the failure of the "Online Services" division is - in part - tied to the huge profits that the "Office" division generate. It's difficult to build a business in one area that might cannibalize one of your core businesses. This year should see greater focus on the online version of Office - particularly with the release of Office 2010, but I'm not clear on Microsoft's business strategy here. Is the online version a full-featured replacement for desktop Office? Or is online Office a complement to the desktop version. I've used the online version of Excel and Powerpoint. They are much richer and more 'Office"-like than any of their competitors (Google, Zoho, etc), but is there a compelling reason to use Microsoft's online Office? We should start to get some answers this year. Microsoft is the largest, most profitable software company in the world. What Does it Take to Teach for University of Phoenix? Speculation 1: I wonder if U of P really wants folks like me to teach their courses. People with Ph.D.'s and lots of experience in both developing and teaching online (and on-ground) courses. Academics are accustomed to, and expect, a degree of autonomy developing and teaching our courses. I think this autonomy goes against the U of P model of pre-developed courses and rigorous monitoring and evaluation of its professors. For the University of Phoenix I was, (and am) perfectly willing to conform to their systems and methods, as part of my rationale for applying to teach is to understand and learn from their model. But I'm guessing that 'academic types' like me are not worth the hassle. Speculation 2: Perhaps U of P would prefer to recruit faculty from the ranks of working professionals as opposed to academia. Graduates of U of P, for the most part, will not be looking to apply for jobs or promotions in higher ed. I don't know this for a fact, but I'm guessing that most U of P part-time instructors are not full-time academics, but rather working in the sorts of positions that the U of P students aspire to. What do you think these speculations for my rejection? Can you add any to the list? Have you been rejected by U of P as well? Have you been accepted? Great interview from the Charlie Rose show. Walt Mossberg from The Wall Street Journal, David Carr from the New York Times and Techcrunch's Michael Arrington talking about the Apple iPad. My favorite line, paraphrasing David Carr - the Kindle looks like it was invented by Mennonites. What Can I Learn From Twitter? Here's a great use case for Twitter from Lisa Velmer Nielsen at The Innovative Educator blog. She was preparing for a professional development workshop and used her Professional Learning Network (PLN) - which in this case consists of Twitter and Facebook - the question "What's a good site to find free videos of teachers teaching?" Here are the results ... The Innovative Educator: A Collection of Classroom Videos to Use in Your Professional Development and More! Thomas McNeal wants students to become "geohistorians." In the latest effort to turn cellphones into learning tools, his Geo-Historian project at Kent State University plans to put students to work creating multimedia content about historic sites. The technology behind this idea is a program that ties the information to a bar code. Then you could leave that bar code on, say, the memorial commemorating the 1970 Kent State shootings. Visitors could get access to the student-produced audio and video clips by scanning the bar code with their cellphone cameras. "All of the students have it now," ... "Instead of being afraid of it, we’re going to show teachers and parents that they can embrace this." creating a booklet filled with bar codes tied to the World War II Memorial in Washington, a project he described this week at the Ohio Educational Technology Conference. When visitors see a plaque about the home front, for example, they can scan the bar code on Mr. McNeal's pamphlet and watch a clip from the 1940s of movie stars selling war bonds. This is a really interesting idea, but with Google including navigation into their app (currently Android only) and a ton of modestly priced navigation apps available, I fear Waze may be doomed. Waze tries to crowdsource navigation ... The Waze iPhone app is free; the company plans to sell crowdsourced data to other parties while making navigation available to end users at no cost. Waze builds its maps and tracks traffic by having early-adopter users leave the software launched all the time while driving. The software relies on social-networking conventions to encourage participation, and combines gaming elements, too. The interface is still rough and a bit confusing, and Waze hasn’t captured enough information to provide the same level of value as paid navigation apps. It can’t provide directions for distances over 200 miles yet, either. The ipad will be more valuable to educational content once it is flash enabled. (While you don't see the video in the textbooks, obviously, most publishers provide some sort of video online that accompanies the program.) Having both at their fingertips will be an enormous advantage for students - which is needed to make the ipad a valuable tool for education. Anne, I wouldn't hold your breath for Flash on the iPad or any other iPhoneOS device. On Mac OS X and iPhone OS, Flash is a huge resource hog and has been cited as the most frequent cause of browser crashes. I think Apple is biding their time waiting for HTML 5 to become more fully supported and Flash to become increasingly less relevant. The lack of Flash on the iPhone hasn't hurt iPhone adoption and hasn't kept the iPhone and iPod Touch from becoming valuable tools for education. The limiting factor for iPhone and iPad adoption is the network - AT & T. As far as content goes - textbook, web, etc - content creators are going to go where the users are - currently, the iPhone platform. They are going to adapt their content for that platform. If that means they have to move away from Flash or develop alternative non-flash based content, that's what they'll do. It's already happening. Some interesting thoughts on e-books, the iPad and the ePub format. I too was hoping for the opportunity for much richer e-books - almost a complete re-thinking of what a book is or will be. I've included a video from ScrollMotion showing their Iceberg Reader for the iPhone. Probably not what the final iPad app will look like, but some very good textbook-oriented features - such as maintaining the pagination of the physical book. Makes it a lot easier to say "class read pages 122 to 146 for next week." The Wall Street Journal reports (subscription required) that major textbook publishers have struck deals with Apple to bring their content to the iPad. According to the report, textbook publishers will rely on the technology of ScrollMotion, which already has experience developing such content for the iPhone. Though Apple didn't outline its strategy to target the educational sector with its iPad last week, people familiar with Apple's thinking have said that the iPad's use in schools was one of the focal points of discussions in developing the product. In its exploration of electronic book technology, it thought particularly about how it could re-invent textbooks, these people said. Today's report notes that McGraw-Hill Education, Houghton Mifflin Harcourt K-12, Pearson Education, and Kaplan have all reached deals with Apple for the iPad. Here are some quotes from the podcast, along with links to some interesting discussions of the iPad. Can you imagine viewing an x-ray or an MRI on the iPad and using the multi-touch gestures to zoom and pan. Pretty cool - a lot cooler that my doctor's old clipboard. According to The Sacramento Bee, some hospitals are experimenting with tablet-style computers, and Apple's iPad is now on their radar. It quoted an official with nonprofit managed care organization Kaiser Permanente who said tablet computers could help doctors and nurses spend more time with patients. In a San Francisco-based program dubbed 'Destination Bedside,' officials hope to provide superior care by giving hospital workers tablets that would provide X-rays, charts, prescriptions and notes all on one device at the tap of the finger. The company expects to settle on one tablet for company-wide distribution later this year. And in the running is Apple's iPad, thanks in part to the popularity of the iPhone. But until the iPad can be tested for real-world use in the hospitals, officials are keeping their options open. One touchscreen device called the Motion C5, controlled by a stylus, has been in trial. Dr. Javeed Siddiqui, associate medical director for the Center for Health and Technology at UC Davis Medical Center, told the Bee he's excited by the potential the iPad offers for the medical industry. The real potential for the iPad in the medical field will lie in the ability to write custom applications for the hardware. In addition to a number of bundled applications, the iPad will have access to Apple's App Store, which now offers more than 140,000 different options. Health care workers excited about the possibilities won't have to wait long for Apple's iPad. Please visit Web 2.0 Tools for Teaching to read about an interesting new tool - VoiceThread.